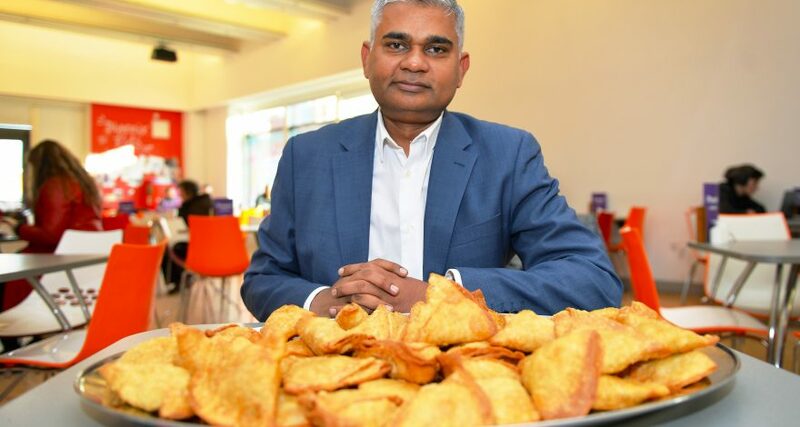 The first ever National Samosa Week launches in the city	"
As well as the arrival of Spring we’re also looking forward to the first ever National Samosa Week. That’s right, a whole week dedicated to the triangle-shaped savoury snack from April 9-13, 2018. Founded by the Leicester Curry Awards, the aim of the week-long event is to draw attention to the rich culture and food heritage of South Asia. Although popular with the South Asian community, the snack can be traced back prior to the 10th century and is said to originate from the Middle East where it was known under the name Sanbosag in Persian texts. Eaten by travelling merchants, it is likely that this is how the tasty parcels made their way to other parts of the world including India and Pakistan ultimately leading to the popular street food snack we know today. Today, the samosa is traditionally fried and stuffed with a savoury filling, such as spiced potatoes, onion, peas or minced lamb. To launch the event in April, the organisers in Leicester will be setting up a pop-up shop in a city centre venue and encouraging people to buy, eat and sell as many samosas as they can. All the money raised will be split between two charities that are being supported in this year’s awards; Leicestershire Action for Mental Health Project (LAMP) and Care of Police Survivors (COPS). The organisers are currently looking for partners in various cities to help host events nationally.